This entry was posted on Wednesday, May 28th, 2014 at 3:00 pm and is filed under StoneWisdom. You can follow any responses to this entry through the RSS 2.0 feed. You can skip to the end and leave a response. Pinging is currently not allowed. Congratulations Dora!!! 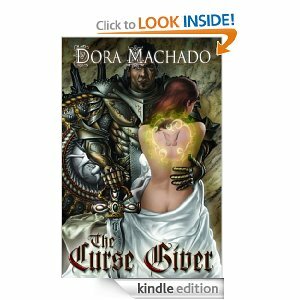 I LOVED both the Curse Giver and your Stonewiser series & have shared them with many friends. You definitely have a great talent for writing & storytelling! Wishing you luck & success in all your future endeavors!!! Thank you so much for your support, Shannon. I’m delighted you enjoyed the books. Nothing is as rewarding to the author as a heartfelt recommendation. I really appreciate yours! Best of luck to you with all of your projects as well, and best regards always.